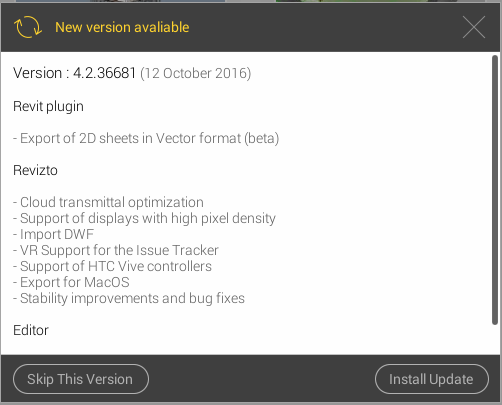 Revizto Version 4.2 is out this week. Unusually, Revizto doesn't have a "What's New" type post up on their blog, at least not yet, instead opting to host a webinar on the new features on October 12th. In the blog post announcing the webinar though, they did drop a couple of nuggets. And we were also able to glean more information from Luke Johnson's What Revit Wants blog as well as the Twitter-sphere. Revizto is brought to you by Vizerra. It's priced beginning at 650.00 USD per month for a "20 Collaborator" package.